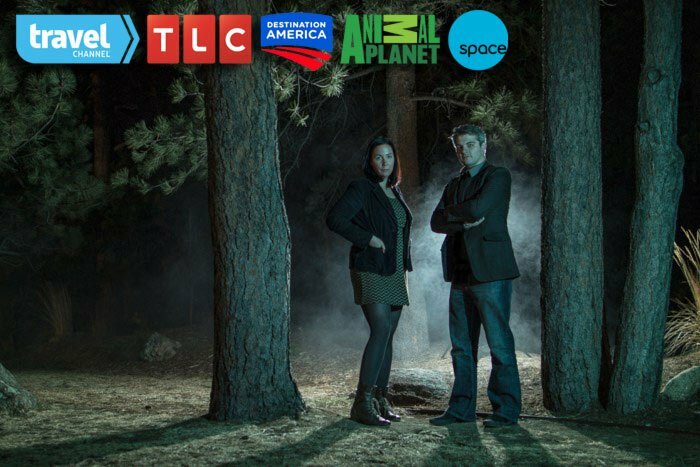 As seen on the Travel Channel's Ghost Adventures and SYFY's Sightings, Haunted Atchison will be taking participants into the infamous Sallie House! Originally built at the turn of the century, this house became the residence of an Atchison physician. The front served as office space and examination rooms, while the doctor and his family lived upstairs. Legend has it, that one day a frantic mother arrived carrying her 6-year-old daughter, Sallie. The child had collapsed from severe abdominal pain. The doctor diagnosed appendicitis and knew there was no time to delay surgery. Believing the appendix would soon burst, the doctor began cutting Sallie before the anesthesia took full effect. Sallie’s screams suddenly stopped and she grew pale and limp. She died on the operating table – her last memories of a man whom she believed was torturing her. 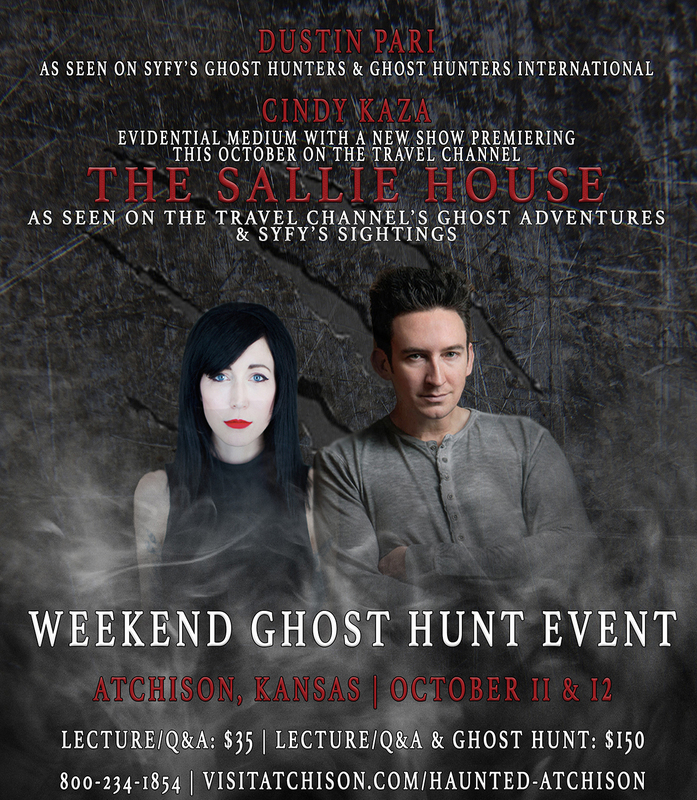 Dustin Pari and Cindy Kaza will take you inside the infamously haunted Sallie House where there have been countless reports of people being scratched, touched, toys moving and turning off and on their own, numerous EVPS and more! Brace yourself for a night you won’t soon forget! Reports of Sallie’s haunting grew even more ominous in 1993, when the house was rented to a young couple. Their dog seem to growl at nothing, especially near the upstairs nursery. Things began to take a violent turn, however. Fires broke out in the house and a series of attacks on the husband began. The operating area would become cold. Objects would visibly move when the young man drew near. He could feel scratches upon his chest or abdomen. But never did the ghost attack the wife or baby. *You MUST present your confirmation email when you check in. *By purchasing a ticket you accept all liability and hold harmless the City of Atchison, the Atchison Chamber of Commerce and the Sallie House.